Garlic Knots is a type of Italian Appetizer or snack. They were actually made with leftover pizza dough or the scrapes of the pizza dough to use up what would otherwise be a waste. 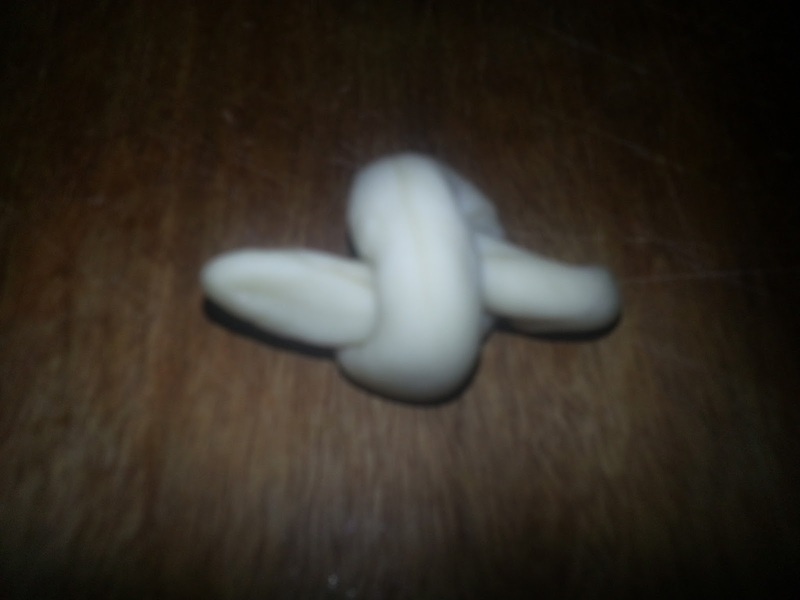 The name is due to their shape resembling a knot and as Garlic is used to flavor them. Using the words of the owner of this recipe I would describe them Crusty on the outside and light as air within. Chewy and a bit sour. Garlic knots should preferably be made with aged pizza dough but I made them with pizza dough that sat for just an hour and a second rise of another hour and they still tasted great. You could let the dough sit for several hours to get more sourness. 1. In a mixing bowl sieve all purpose flour and salt. 2. Add sugar and yeast and mix well to combine. 3. Add olive oil and mix to combine. 4. 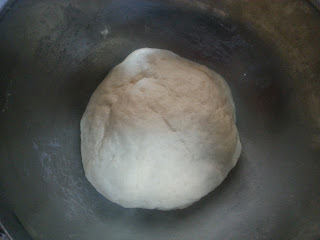 Add warm water as required and knead to soft dough. Continue to knead for 8-10 minutes. 5. 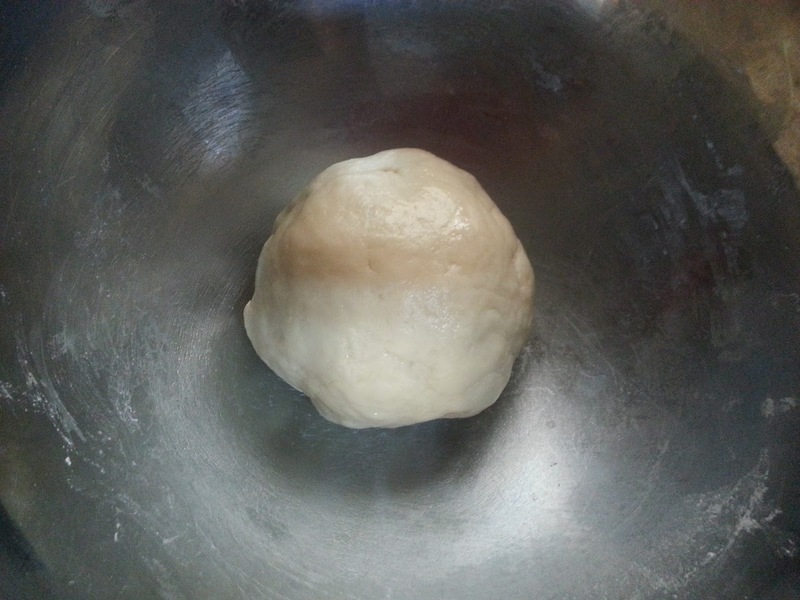 Coat the dough slightly with olive oil, cover with a cling wrap and leave it in a warm spot to rise and double. This will take about an hour but you can leave it for a few hours. 6. 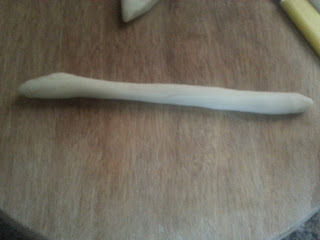 Punch down the air from the dough and divide it into two portions. 7. Flatten the portion of the dough into a rough rectangle and cut strips. 8. Depending on how small or big you want the knots to be divide the strips or use the entire strip. 9. Roll the strip using your hands into a snake or a rope. 10. Tie a knot just like you normally tie a knot. If dough is sticky use some all purpose flour. 11. Line a baking sheet with parchment paper or grease it with olive oil. 12. Place the knot on the baking sheet. 13. 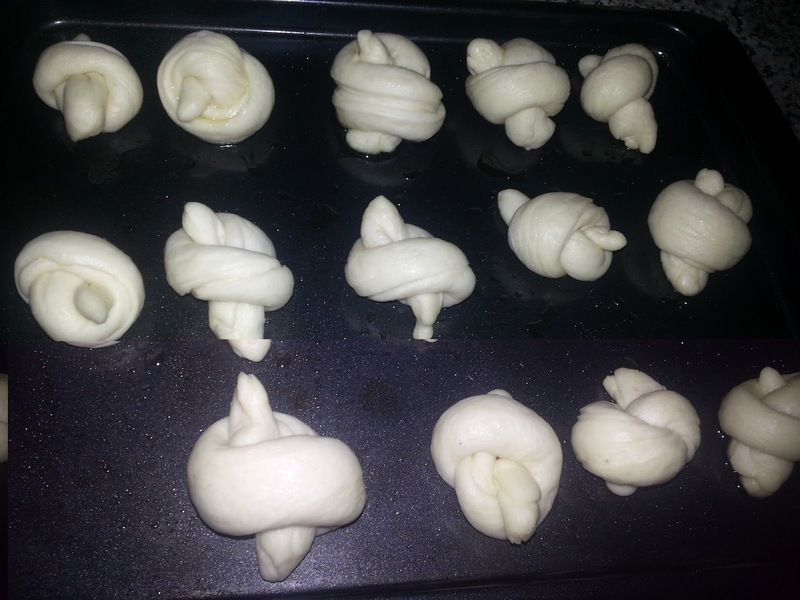 Make knots with the rest of the dough in the same way. 14. Place the knots spaced a little away from one another as they will rise again. 15. Brush the top of the knots with olive oil. Cover them loosely with a cling wrap and let them rise again for an hour or for several hours. 16. 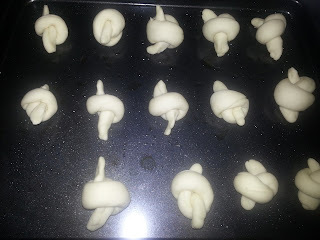 30 minutes before you decide to bake them preheat the oven to 200C. 17. Place the baking tray in the oven after removing the cling wrap. 18. Bake for 12-15 minutes or till they are browned on the top. 19. While the knots are baking, mince the garlic. 20. Melt butter in a saucepan on low heat. 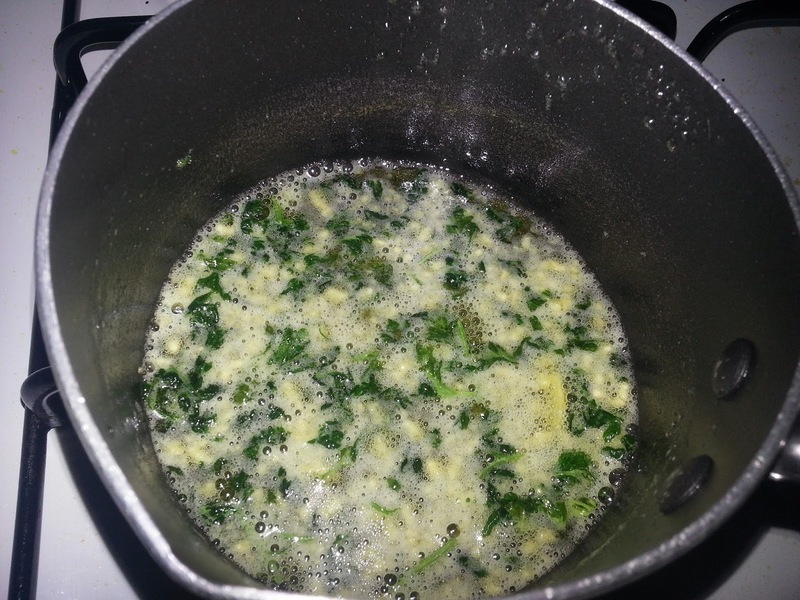 Add the minced garlic and cook for a minute or two till the raw smell disappears. 21. Add the parsley and salt and mix to combine. Keep this aside. 22. 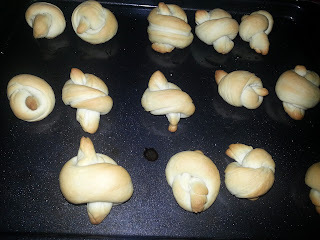 When the knots are baked, let them cool out of the oven for a few minutes. 23. Brush with the Garlic butter mixture.